Two gift jars each of you Favorites! Mele Macs and Macadamia Popcorn Crunch! 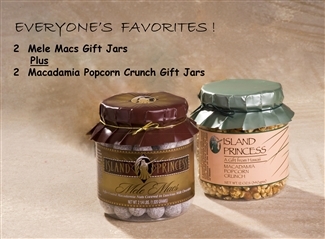 This case pack contains three jars each of our most popular items! Perfect to share or treat yourself!